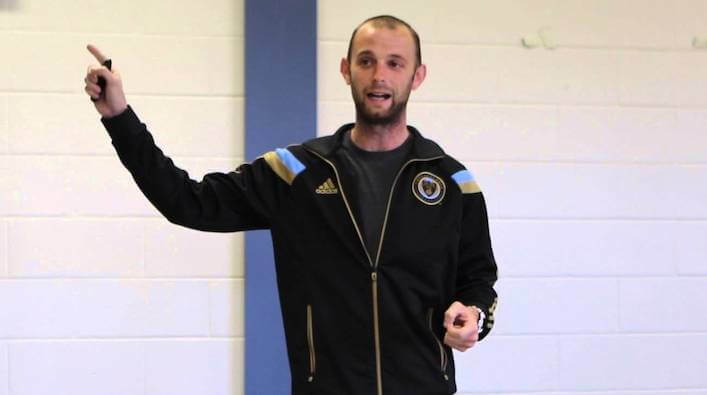 Garrison Draper is the performance director for the Philadelphia Union in the MLS. Beyond his time with Philly, he’s also worked with or interned with the Chicago Fire, Seattle Sounders, and Columbus Crew. In this show, Garrison and I discuss a ton of topics related to soccer. Whether it’s incentivizing your athletes, how to train throughout the competitive season, or how to minimize injuries during the off-season, I really think you’re going to enjoy this show. How Garrison got started in the world of physical preparation. His current gig with the Philadelphia Union (MLS). In his perfect world, how Garrison would build the “perfect” soccer player. The major goals he has when outlining an off-season training program for soccer. Discussion on “Soccer Culture” – Does he ever have issues getting athletes to buy-in to the weight room? His thoughts on developing a smart conditioning program for his athletes. How he’s applying sport-science not only during the competitive season, but the off-season as well. A critical talking point – how do we smooth the transition from off-season, to pre-season, to in-season training to keep our athletes fit, healthy and fresh? What a typical day looks like for Garrison during the competitive season. The advice he would give a young coach who wants to get into sports science. Our always entertaining lightning round, where we discuss his favorite city to live in, the book(s) he’s reading right now, name association, and his thoughts on sports science in the future.